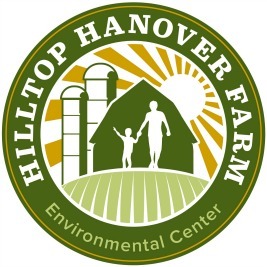 At Hilltop Hanover Farm, we welcome summer camp field trips. All visits include a guided education tour of the farm. On that tour, campers will learn about the seasonality of farming, crop production, pasture management, animal care, and composting. Depending on the season and educational tract chosen, campers will have an opportunity to harvest and taste vegetables grown using organic methods. Smaller groups may decide to hike our trails to complete the day. “Jr. Farmer” campers will enjoy a longer farm tour, followed by an simple hands on experience such as sowing seeds or harvesting vegetables. Campers enjoy their bagged lunches overlooking farm vistas and leave the farm at 1:00 pm. “Farmer for the Day” campers will discuss sustainable farming, while touring the grounds with farm staff. Campers will learn about composting, pastures, greenhouses, and livestock. In addition campers will work in the fields with our farmers. Campers enjoy their bagged lunches overlooking farm vistas and leave the farm at 1:00 pm.